While many associate the “Banana Republic” with a popular clothing store, history buffs will recognize this term to illustrate political instability within a country that is dependent on a single export source to bolster their economy. One would think that with all the political rhetoric and energy, government resources, media attention, and developing abuse deterrent formulations by Big Pharma, and the ongoing illegal import of contraband opioids, that our current economy spins in a universe of political instability that is dependent on legal and illicit opioids. Alternative facts and half-truths continue to bolster the Opioid Banana Republic. For example, in a previous blog post, Hydrocodone Half-truths Hath No Fury, we point out that “The claim that Americans use 99% of the hydrocodone available globally is a half-truth, as the US uses hydrocodone (which mg for mg is equivalent to oral morphine) in combined formulations with acetaminophen, aspirin, or ibuprofen. In Europe, it’s more common to see dihydrocodeine, a codeine derivative and weaker analgesic compared to hydrocodone, used for mild to moderate pain or simply morphine itself. Hydrocodone in Canada is only available in a cough syrup or elixir but not otherwise used for pain treatment. Hydrocodone has also been used in Australia but has largely been replaced by morphine. Ignoring this exclusivity of hydrocodone skews the picture of why the U.S. consumes the worldwide majority of hydrocodone and the reasons why hydrocodone has been prescribed more than any other prescription drug in the US. Journalist Josh Bloom recently enlightened us with many more alternative facts in The Opioid Epidemic In 6 Charts Designed To Deceive You where he delineates examples with varying headliners including Manipulative and misleading statistics, Telling a half-truth, Twist the truth, and more. I want to believe that as a country, we aren’t that naïve, that we don’t take everything we read at face value, and that we are educated enough to question and delineate fact from fiction and recognize evil – but I have my doubts. But alas, I have been blessed with several well-educated and scholarly residents over the last several years and I do encourage all of them not to take anything they read at face value, that education is a privilege which requires respectfully questioning colleagues, delineating fact from fiction, reconciling accurate versus fallacious publications (mainstream media and peer reviewed professional journals), and recognizing purposeful, perhaps even evil statements from otherwise perceived authoritative sources. Data is a powerful double-edged sword! It is often used to guide decisions. But too often than not, data can be misconstrued and misunderstood, whether intentionally or unintentionally. Data in the wrong hands can be used to sensationalize, inflate, confuse, oversimplify, and ultimately mislead the public. There have been many studies to come out linking opioids to negative outcomes on the basis of correlation. Data from these studies is exploited by media to sensationalize the opioid epidemic and by regulatory affairs to derive policies. The majority of these studies are retrospective in nature and use observational analysis to establish correlations that are used to establish causal relationship. While observational studies have a large role in clinical research, there are inherit limitations to these studies and are subject to bias and confounders. For example, a recently published stated that “higher prescription opioid dose was associated with moderately sized effects including greater pain intensity, more impairments in functioning and quality of life, poorer self-efficacy for managing pain, greater fear avoidance, and more health care utilization.”1 This conclusion was made on the basis that both variables coexisted in an observational study . Few questions come to mind when reading this article: What if all these variables have a common cause? What if it is the pathology that is causing greater pain intensity and higher opioid dose requirement, simultaneously? What if the severity of illness that is what is driving healthcare utilization as well as opioid dose requirements? Many correlations exist, but this does not mean there is causation. A fundamental rule of statistics is that correlation does not imply causation. Just because variables A and B are present simultaneously, this does not mean one cause the other. What if there is C that is causing both A and B? C is referred to as a ‘lurking variable’. For example, more serious fires causes more damage and prompt more fire trucks to be dispatched. This means that there will be correlation between the damage done by the fire and the number of fire trucks dispatched but does not mean there is a casualty. The lurking variable is the size of the fire causing the damage and prompting more fire trucks to be dispatched. Researchers may fall into this trap when evaluating two dependent variables, meaning the number of fire trucks dispatched depends on the size of the fire, also the damage done by the fire depends on the size of the fire. Another example of this concept is a researcher notices a correlation between the number of speeding tickets and motor vehicle accidents. The researcher then concludes that individuals with more speeding violations are more likely to get into more accidents and establishes a causal relationship. Both outcomes are dependent variables and establishing a relationship between them is not appropriate based on the methodology. A missing lurking variable here is the number of miles driven. The more miles a person drives the more likely they are to get a speeding ticket and the more likely they are to get in an accident. Correlation may be due to a common lurking variable as previously discussed, or completely unrelated. Inaccurately establishing cause and effect from correlations is quite common, and can occur purposely or inadvertently. When we see lines sloping together, points on a scatter plot clustering, or bars rising and falling together, we are tempted to jump to conclusions and want to believe a cause and effect exists. On the other hand, correlations can be intentionally exploited to sensationalize a variable and mislead the public. 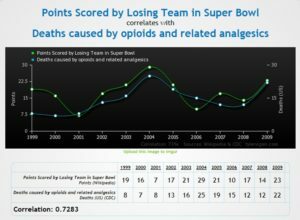 To test this concept, I used Vigen’s Website to share a few outrageous correlation gems, including Cost of Bananas v. Deaths Caused by Opioids, Points Scored by Losing Team in Super Bowl v. Deaths Caused by Opioids, and Cost of 16 Ounce Potato Chips v. Deaths Caused by Opioids. You may click on each hyperlink above or simply click on the images below for a larger image. There is 87.01% correlation between the age of Miss America, and murders by steam, hot vapors, and hot objects. There is 93.76% correlation between honey producing bee colonies, and marriage rates in Vermont….Oh honey!! Remember when experimentation trumped observational data? Why did the experimental results contradict the preceding observational data? These findings led to re-analyzing the original data and it was found that women who took hormone replacement therapy were of a higher socioeconomic status who had better diet and exercise. This was the true cause behind decreased coronary artery disease! In this case, the spurious correlation was due a omitted lurking variable. What if the headlines, studies, and analysis using observational data and conclude “higher opioid dose leads to greater pain, worse functional status, and avoidance ” are missing an important variable? What if the severity of the underlying pathology is the omitted variable and causing these outcomes simultaneously? While there are theories of opioid-induced hyperalgesia, this an experimental phenomenon that is yet to be fully elucidated.6 The available evidence is not sufficient to support headlines stating “opioids worsen pain” nor be used as a blanket reason to take patients off opioids.6 However, this phenomenon has been sensationalized by media muckrakers as a “click bait”. I came across an article titled “Opioid Painkillers Make Pain Worse: The Drug That Lies” inappropriately using opioid-induced hyperalgesia as a supporting basis. Another headline we commonly read is “Patients with mental health disorders are more likely to receive opioids” or “Depression is a risk factor for chronic opioid prescribing”. What if pain severity is also what is making individuals depressed? It has been well established depression is common among chronic pain patients.7 What if the actual cause [pain] is omitted from the analysis? Sensational portraits have painted legitimate chronic patients as addicts and blaming them for their pain rather than blaming the society who refuse to accept them. Considering the extent opioid sensationalism, it would be of no surprise if global warming gets blamed on the opioid epidemic. There is no doubt that opioids have been overprescribed. Opioids are indeed high risk medications that have potentially lethal risks and potential for abuse and addiction. Opioids are not first line agents and should be only considered after non-opioid modalities (pharmacologic and non-pharmacologic) have been exhausted or are not appropriate. Careful consideration of risks and benefits should be employed at initiation and continuation of therapy. Patients should be screened for risks for misuse and abuse prior to initiation and throughout therapy. For a carefully selected subset of the population who have no other viable treatment options have the right to relief and quality of life that opioids may provide. There is no doubt that there is an “opioid epidemic”. However, there is also an epidemic of statistical misuse and correlation fallacy. 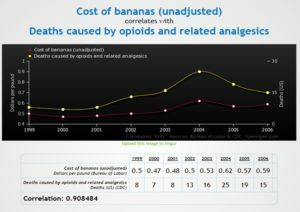 Statistically speaking, perhaps the world has gone bananas. 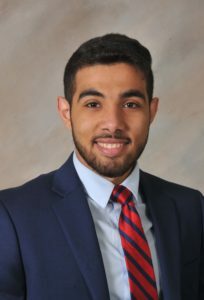 Dr Mena Raouf, Pharm.D., is currently completing PGY-2 Pain and Palliative Care residency at the Stratton VA Medical Center in Albany, NY. 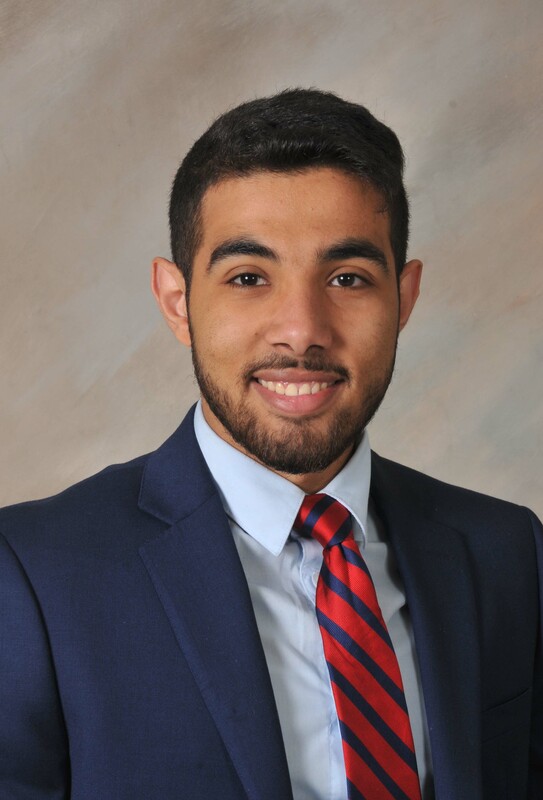 Dr. Raouf received his PharmD from Albany College of Pharmacy and Health Sciences and completed a PGY-1 residency at the VA Tennessee Valley Healthcare System in Nashville, TN. Morasco BJ, Yarborough BJ, Smith NX et al. Higher Prescription Opioid Dose is Associated With Worse Patient-Reported Pain Outcomes and More Health Care Utilization. Morasco BJ, et al. J Pain. 2017. Stampfer MJ, Colditz GA. Estrogen replacement therapy and coronary heart disease: a quantitative assessment of the epidemiologic evidence. Prev Med.1991;20:47-63. Grady D, Rubin SM, Petitti DB. et al. Hormone therapy to prevent disease and prolong life in postmenopausal women. Ann Intern Med.1992;117:1016-1037. US Congress, Office of Technology Assessment. Effectiveness and Costs of Osteoporosis Screening and Hormone Replacement Therapy, Volume II: Evidence of Benefits, Risks, and Costs . Washington, DC: US Government Printing Office; 1995. Publication OTA-BP-H-144. The Women’s Health Initiative Study Group. Design of the Women’s Health Initiative clinical trial and observational study. Control Clin Trials.1998;19:61-109. Now now… let’s not needlessly and senselessly understigmatize. It’s an “Epidemic,” NOT a “crisis”. I mean, someone somewhere has probably died -n- stuff. Keep letting the manipulators and fanatics have it! I’m glad to see some professionals tackle this subject, because I’m so frustrated by the CDC’s refusal to see the real facts behind what’s going on. Thank you for using your professional status to expose the shenanigans of the CDC regarding the supposed “opioid crisis”. What used to be a respectable agency is now just a propaganda tool. Im very upset today my 78 year old father who was a cop, injured in the line of duty is being treated horribly by many diffrent doctors around here all affraid to perscribe anything. For the past 6 months sence his injuries, unrelated to his service injury back in the 80s he has been dignosed with a sliped disc pushing on his spinal cord causing partial paralysis in both hands, also 2 torn rotator cuffs and a partially torn tendon. the only doctor to give him anything was the spinal surgen and that was 5mg percacet after the operation. so today we go to the orthopedic a second time about his shoulder, because the first corticosteroids did not work. surgery is a last resort because he is confined to a wheelchair. so we ask the doc can he try some gabapinten, the doc says no i dont do that you have to go to a pain clinic to get that or anything else. This has gotten out of hand, my elderly dad has been to 5 diffrent doctor’s been given tramadol that does not help, or given nothing at all and pushed out the door. I feel like we are back in the dark age again. This media false or misleading information is hurting and killing good people and it needs to stop. These studies are as relevant as any we’ve seen from the media, politicians, CDC, FDA, DEA, and, of course Kolodny. As relevant as the price of tea in China is to the amount of hydrocodone the United States consumes. Or, is it the price of Fentanyl Analogues in China versus the price of one tablet of Oxycontin, 80 mg when blaming prescription opioids for a crisis not consisting of substances obtainable from a PHARMACY. Non-RX Opioid Epidemic = Abrupt Tapering and Stoppage of Opioids for stable chronic pain patients. This is a breath of fresh air after plowing through the bloviating of the CDC and the FDA. Thank you for this excellent article! Wonderful article, thank you. The manner in which you debunked many of the prevailing statistics is brilliant. I have one question: you concede that there is an opioid epidemic but you do not delve any deeper into the statistics that lie behind that claim. Why? Tricia, thank you for your kind words. 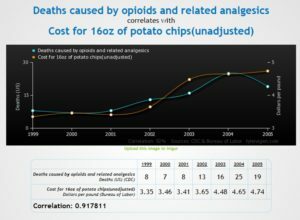 The reason we did not focus on the opioid epidemic is because the scope of this blog concentrated on statistical fallacy. Please search the blog site for other blogs on the “presumed opioid epidemic”. Seriously thank you for a fine article. We need more reporting of stories like this that point out fallacy and highlight the truth. People will believe what they read and hear on the news. And it is all so slanted the wrong way especially for the people who are most affected by what is being said and distorted. May truth prevail. Thank you again. I cannot believe the amount of hysteria caused by Kolodny. It’s time we looked into his funding sources. Good to see the TRUTH instead of all the fake NEWS about prescription opioids. Because we’re all sick of the lies from media and Government who continue to combine prescription medicine with illegal opioid every time the subject is brought up. Recently, I heard false info that an estimated 72,000 will die from opioids in 2017. Why don’t they just tell the truth and say Heroin is the main cause of overdose, with suicides of legitimate pain patients the following second. I wonder how many people have seen the Facebook page,” Medical Genocide in America?” The page is a list of patients who have died because of the lack of proper pain management. Prescription pain medicine has been so severely CUT to the point it’s cruel, inhumane torture. Every single American should be Fighting this. It’s going to touch everyone at some point. I’ve been hearing about patients after surgery being sent home told to only take NSAIDS or Tylenol. Just imagine how deadly those drugs are if consumed in huge doses trying to get pain relief? I can’t believe that compassionate Americans are going to sit by and watch the Government continue to take actions to outlaw legal opioids for pain of any type. Especially chronic pain. Imo, this is why the country has been flooded with illegal drugs. Heroin filled a vacuum and will kill more people than Rx drugs ever did. IM SPEAKING ON BEHALF OF EVERYONE WITH CHRONIC PAIN! I have never taken me dine until I was 57 and couldn’t take the pain any longer from fibromyalgia and degenerative disc disease , unless your someone who is in constant pain, you will not understand . Being shamed for needing medication, treated like a felon with the constant urine tests while simeone stands outside the door. Don’t flush or wash your hands until you give me the urine sample. It’s humiliating to say the least. Failure (for ~2.5 years time) to publicly revise references to supporting (so-called “opioid use disorder”) data relied upon (which has been downwardly revised by the original referenced author by a factor ~3). In addition to the cultural meme, “there’s a hole in daddy’s arm where all the money goes” (from “Sam Stone” by John Prine), I here propose a new paradigm describing the virtually fact-free socio-political world in which prohibitionist charlatans are presently clearly thriving: “there’s a hole in nanny’s head from which all the facts have fully sublimed, precipitating avaricious chemical statist buprenorphine dreams”. … in a terminal anhedonic and dehumanized dystopia plagued by moral leprosy, where pure avarice and venality are equated with virtues, and human autonomy and dignity become mere fodder for their crucibles. I can’t even put into words how much I appreciated this article. Thank you. Thank you. Thank you.